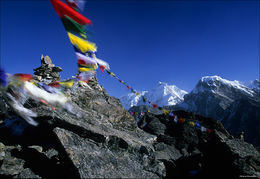 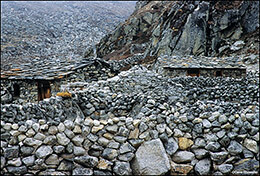 A 2001 trek throughout the Everest region of Nepal. 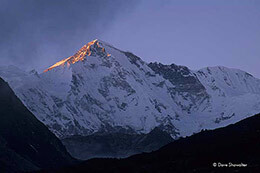 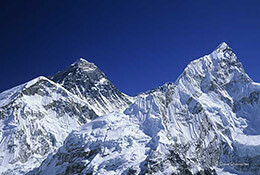 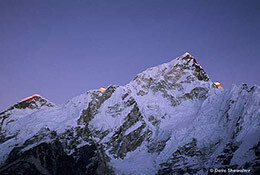 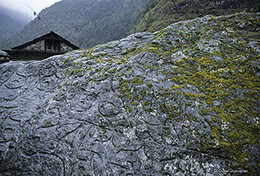 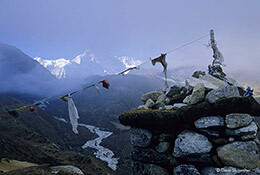 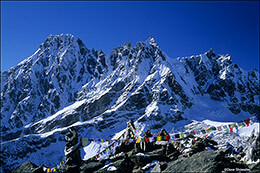 This 19 day trek ignited our passion for international trekking. 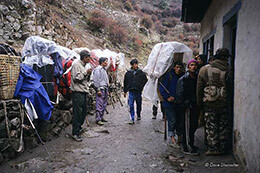 At the time of our visit, Nepal was in civil war with the maoists and there were very few visitors. 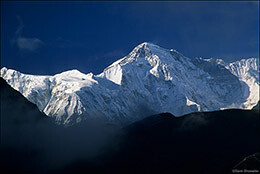 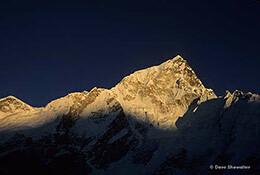 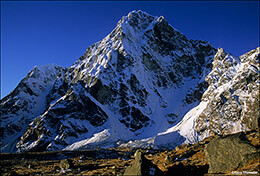 We were very safe in the hands of our guide and porters and had a great experience in these great mountains. 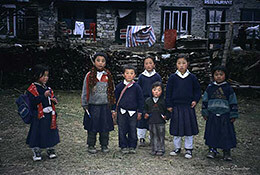 The Nepali's are the kindest people we have ever met. 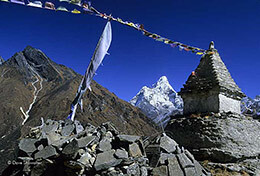 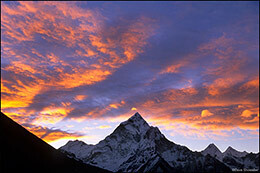 Today, the Nepali government has signed a peace agreement with the maoists and it is a great time to visit Nepal.